Paul Shepard (1925-1996) was a human ecologist and a turbocharged original thinker who spent his life trying to understand (a) how ordinary animals like us managed to evolve into a highly destructive swarm, and (b) how we could correct this. Genetic evolution is the primary engine of change for all forms of life, except humans. With humans, history and culture have changed us far more, and much faster. Shepard’s research came to conclusions that did not thrill the stodgy professors of mainstream academia. He was more or less dismissed as a nutjob. Most of his fame came after he died, when a new generation of fresh minds discovered an underappreciated genius. His masterpiece, Coming Home to the Pleistocene, summed up the scholarly pilgrimage of his life. He wrote it as cancer was drawing the curtains on his life. The Pleistocene epoch was the era of ice ages. It began between 2.6 and 1.6 million years ago (definitions vary), and concluded about 11,700 years ago. It was during this time that the hominid line slowly evolved into Homo sapiens. The Upper (or Late) Pleistocene spanned from 126,000 to 11,700 years ago, and it was the zenith of humankind, Shepard concluded. Then, the weather warmed up and stabilized, farmers and herders fell out of the sky, and all hell broke loose. Back in the Pleistocene, our wild ancestors lived in a sacred world where everything, both animate and inanimate, was spiritually alive. They were healthy, strong, and had a nutritious diet. They lived in small groups, and were skilled at cooperation, conflict resolution, and sharing. Women were not second-class. Folks spent their entire lives in Big Mama Nature’s magnificent cathedral. Wild people were highly attuned to their ecosystem. They paid acute attention to every scent, sound, and flicker. Because they were both predators and prey, survival required them to pay complete attention to reality, all the time. Unlike the human livestock in corporate cubicle farms, our wild ancestors were intensely alive, and they lived authentically, in the manner for which evolution had fine-tuned them. Even today, all newborns are wild animals, expecting to spend their lives in a wild world. Sadly, every critter in the cubicle farm has the time-proven genes of Pleistocene hunter-gatherers, but not their time-proven culture — a profound deviation. 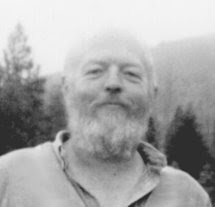 Shepard increasingly comprehended the tragedy of what had been lost: “Through writing and contemplation over the years, I have somehow bonded firmly to those ancient ancestors, their society and ecology, and this kinship has guided my writing and thinking.” He spent his boyhood hunting and fishing in rural Missouri. Later he spent two decades in Los Angeles, and residing in a super-nightmare undoubtedly sharpened his perceptions of modernity’s pathology. Most animals have numerous offspring that mature rapidly, with few surviving to adulthood. Humans have few offspring, we mature slowly, and our lives pass through many phases. Wild cultures guided people through these phases, so that they could smoothly move down the path, living in balance from birth to death. Today, 8-year olds spend much of their time surrounded by other 8-year olds. In wild communities, they normally lived amidst people of all ages. Every day was lived in the presence of the extended family. Grandma and grandpa were never far away, nor were aunties and uncles. Shepard believed that modern cultures do an especially terrible job at guiding newborns through their first two years, and through the crucial transition from adolescence to adulthood. When a phase is not successfully completed, this failure can permanently arrest the development process. “We slide into adult infantility and its neurotic symptoms,” a widespread problem in the modern world. Many never develop a mature sense of social responsibility or emotional stability. Imagine jamming 14 million Pleistocene hunter-gatherers into the culture of twenty-first century Los Angeles. Shepard’s tour visited a wide variety of other topics. His analysis of pastoralism gave me quite a thump. Domestication replaced intelligent and powerful elk and deer with “total potato-heads” like cattle and sheep. Potato-heads were not sacred wild beings worthy of respect, they were just personal property — status tokens — the bedrock foundation of every insane society. The more potato-heads you own, the bigger man you are. Nothing was more important than status, and it was impossible to have too much. Once herders discovered the thrill of having enormous sweaty hairy horses between their legs, the age of warriors rose to great heights. Mighty mounted warriors raided other camps to swipe their potato-heads, killing anyone who objected. They also welcomed visiting raiders with spears, arrows, and impolite remarks. Eventually, the lords of the cavalry joined up with the lords of civilization to conquer vast empires of status tokens. Captured people were penned and exploited. No settlement was ever safe from the raids of mounted warriors. Consequently, humans were reduced helpless flocks of sheep that required the protection of mighty vigilant shepherds. The Judeo-Christian culture was born in a pastoral world. In my digital Bible, the words “flock” and “horse” each appear 100 times, and “shepherd” appears 83 times. “As I live, saith the Lord GOD, surely because my flock became a prey, and my flock became meat to every beast of the field, because there was no shepherd…” (Ezekiel 34: 8). Our wild Pleistocene ancestors needed no shepherds, because their world was not roaring mad. They were safe. There were no hordes of mounted warriors to live in fear of, just assorted local predators. This book is juicy because it presents us with ideas that are contrary to almost everything we believe — at a time when our crazy culture is ravaging the planet. Shepard rips our worldview inside out, and the shocking result presents a reasonable imitation of coherence. Is it possible that our modern consumer wonderland is not, in fact, paradise? Could there really be better ways to live? Are we mentally capable of wrapping our heads around other modes of perception? Shepard clearly understood that it was impossible for us to march out of our freak show malls and promptly return to a Pleistocene way of life, but he did have powerful dreams that we could heal over time. Right now, we could begin recovering forgotten social principles and spiritual insights. Right now, we could begin weaning ourselves from addictions and illusions. He knew that all humans share the same Pleistocene genome, and that our genetic memories all trace back to a common ancestral culture in Africa. Long-term human survival requires that our cultures reintegrate with nature. It’s important to understand how we got lost, and where we came from. Shepard tosses us a lump of hopium: “We humans are instinctive culture makers; given the pieces, the culture will reshape itself.” Will it? Shepard, Paul, Coming Home to the Pleistocene, Island Press, Covelo, California, 1998. Thank you for this post. Most interesting. You're welcome. Shepard was an interesting lad. I discovered your blog and enjoyed going through it. In the mid seventies I read 'tender carnivore and sacred game' and it was an eye-opener. When I wanted to buy a personal copy, it was out of print. Me Shapard was kind enough to send me one. If you have not read it, please do. It is still available. Amaranth, I've read Tender Carnivore, but haven't reviewed it here. On this blog I've reviewed The Others, Nature and Madness, and Coming Home to the Pleistocene. Tender Carnivore was an early work. His thinking evolved with time. Thank you! I was thinking to myself that this authentic wild life we used to live thousands of years ago might have been admirable in some ways but it wasn't safe or comfortable. Modern civilisation may be ravaging the planet but it gives us chocolate and movies and (generally) protection from ending up as food for something big with sharp teeth. So you can see that the way we live now is quite appealing despite its impact and what would seem to be its imminent demise. I suppose that whatever opinion we have, most folks will be going down with the ship. The effects of climate change have just begun, and our agricultural system depends on a stable climate. Peak Everything means that industrial civilization will be running out of power. There are over 400 nuclear plants for which there are no plans for decomissioning. We're moving into the post-antibiotic era, which will eliminate our defenses against infectious diseases. Anynomous, Only through an extremely narrow lens by which safety and comfort are measured using strictly short-term, individualistic, physical criteria do any of the claims in your response hold up. Not only does it totally overlook civilization's effects on psychological, emotional and spiritual safety and comfort over every term, short or long, it also overlooks all the microscopic "teeth" that are gnawing away at an ever-increasing proportion of the population -- from mounting radioactivity to the plethora of rapidly expanding and ever-more-nasty chronic autoimmune and neurological 'diseases of civilization' compounded by the growing toxicity we're inflicting on the Earth (and thus on ourselves) by falling for the 'better living through chemistry' propaganda. Once we factor these in and then add the bothersome fact that all of it is entirely unsustainable (and only makes the world a more ravaged place the longer it persists), well, invoking the appeal of chocolate and movies and protection from predators (that have, at this point, been largely extirpated) to account for our present and ongoing choices doesn't quite add up.